When you choose Cornerstone Electrical you’re choosing a company committed to providing the best in service, electrical solutions, repairs and installations to their residential and commercial customers. Great service. Both Bill and Jeff were professional and thorough. You will not be disappointed. Bill & Jeff did a great job diagnosing & fixing my tripped breaker. I was very pleased to be fit in last minute. Great service! Great people to work with, and great prices. We are extremely satisfied with the work Bob did in our home. He listened to our concerns and fixed the problem in a quick and efficient way. Excellent Service, High Quality work, prompt service. these guys are the best in the region. ALL the folks at Cornerstone are absolutely WONDERFUL. They all are professional, experienced, polite and trustworthy. They have done several jobs for me over the years and I have been very happy. Always on time and they work fast. Great company! The best electrical service company i have worked with ever. 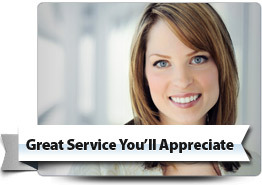 Prompt professionals who make customer service a priority. Best service. Super friendly people, clean and professional work. Absolutely no complaints about this company. It was very comforting to know they were there to help! Thank you John! I have nothing but super praise for this company....their people...their knowledge, their professionalism and their all around a pleasure to work with. We have had Cornerstone come out a number of times and have always received professional and reasonably priced services. Cornerstone van almost ran me off the road, twice.